Hoping to brighten winter days, Mazda has launched a new special edition MX-5 'Arctic'. The Arctic edition is on sale from February and features an icy ‘Blue Reflex’ Metallic paint and contrasting bright silver design cues. Based on the 1.5-litre 131ps SE-L Nav, the MX-5 Arctic runs on 16-inch Silver alloys, has a silver windscreen surround, silver wing mirrors as well as the silver headrest hoops. On the inside, the silver theme continues on the cup holder rings and chrome scuff plates, while the upgraded equipment tally includes heated leather seats, automatic headlights, rain-sensing wipers and rear parking sensors. Limited to 400 cars, this UK exclusive special model features a numbered limited edition badge on the dashboard. The new special edition is the second to wear the Arctic badge, revisiting a name last used on the MX-5 back in 2005. Commenting on the launch of the new MX-5 Arctic, Jeremy Thomson, Managing Director of Mazda Motors UK said “We are delighted to offer another special version of the award-winning MX-5 convertible; we’ve had a long history of producing distinctive limited edition MX-5s that allow customers to drive a sports car with stand-out looks and enhanced standard equipment. The new MX-5 Arctic’s exclusive looks and great value mean it’s sure to be a popular choice when it arrives in dealerships early next year”. 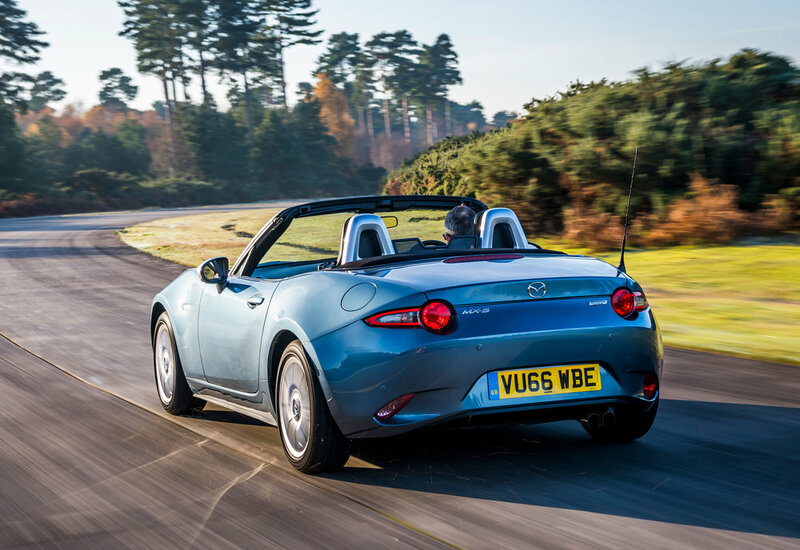 The MX-5 Arctic is priced at £20,995 OTR.